Canada’s a nation of immigrants. It truly is the land of opportunity. Chances are, your parents, grandparents or great grandparents came here from another country. There are many reasons why people left their homeland. Some left by choice to pursue a better life. Others had to leave for safety reasons. Whatever the reason, most of us have a common goal: A better life. Homeownership has always been an important part of that dream. We want to own something. We want to plant roots. There’s a pile of statistics to support this claim. In my 28 years in the financial services industry, I can attest to this claim. Our government’s trying to slow the housing market in an attempt to control housing prices. They’ve brought in many radical changes to mortgage qualifying in an attempt to stop prices from continuing to climb. Many banks and mortgage lenders are still interpreting these rules, making it harder to get a straight answer from any lender. The government’s concerned that Canadians won’t be able to afford their mortgage when mortgage rates go up. This is a valid concern. Nobody wants to see homeowners default on their mortgage. BUT… WAIT A SECOND! All these changes would lead you to believe that we’re facing an affordability crisis. Or a mortgage default crisis. But this isn’t the case. The Canadian Bankers Association released its latest stats, which show that mortgage arrears are only at 0.24%. That’s the lowest arrears level in 10 years! By the way, Ontario, the largest province, is just at a minuscule 0.09% arrears level!! Back to the homeownership dream… Yeah, that’s right, Canadians want to own their own home. This dream’s still alive and, perhaps, a little more affordable. Mortgage rates may be up, but home prices are down. Real estate boards across Canada have reported that home prices dropped in the first two months of this year. Sales are down, too. This trend is helping with affordability. Less mortgage required = lower monthly payments. So as long as Canadians have an opportunity to purchase homes at an affordable price and pay a fair interest rate on the money they’ve borrowed, the dream of homeownership is attainable. This is a fine balance that we want to ensure we can maintain. 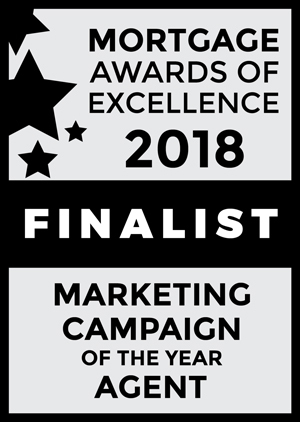 Previous Previous post: Mortgage Awards of Excellence Marketing Campaign of the Year Finalist! Next Next post: Credit counselling, Consumer proposal or Bankruptcy… Which option is most favourable?